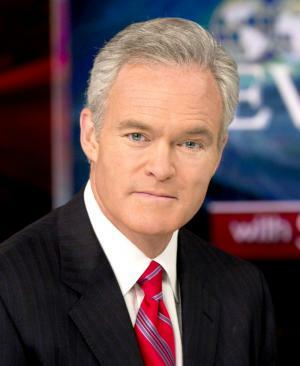 Scott Cameron Pelley is a San Antonio, Texas-born American journalist who is perhaps most famous for being the anchor and managing editor of the CBS Evening News. Born on 28th July 1957, Scott is a notable name in the sector of journalism, in which he has been active since 1975. An accomplished and popular personality on American television, one may wonder how rich is Scott at the present? As estimated by sources, Pelley counts his net worth at an amount of $15 million as of mid-2016, amassed through being prominent as a journalist in major news channels including CBS for more than four decades. Raised in San Antonio and Lubbock in Texas, Pelley was educated at Coronado High School. He was interested in journalism from his teenage years, and one of his first jobs in journalism was as a copyboy for Lubbock Avalanche Journal. Later on, Pelley continued his studies in journalism as he enrolled at Texas Tech University. Even before graduating, Pelley was offered a job working as a broadcast journalist in a local cable station, KSEL-TV. He subsequently worked in local cable TV in Texas for around eleven years before finally moving to the CBS network, which was a pivotal time for his career as a journalist, and his net worth began to rise. Pelley started his career at CBS working in New York City, and later he covered national affairs from Dallas. He began getting attention from the public as he covered news on the presidential campaigns of Bill Clinton and Ross Perot. He also served as the CBS News’ Chief While House Correspondent for three years. Pelley then joined CBS’s new program “60 Minutes II” as a reporter. Notably, he reported from the scene of the collapsing World Trade Center towers on September 11, 2001. In addition, he has also reported extensively from several war zones, including the 1991 invasion of Iraq, genocide in the Darfur region of Sudan and many more during his career. At the present, Scott Pelley serves as an anchor in two of the popular programs of CBS, namely “60 Minutes” and “CBS Evening News”. Obviously, being a successful reporter and anchor at CBS for more than three decades has been very helpful in adding to Scott’s present net worth. Given his contributions in the field of journalism, Pelley has been honored many a times with awards and recognitions. He has been awarded three times with the Alfred I. DuPont- Columbia University Awards which is considered to be the highest award in electronic journalism. He, along with other correspondent teams, has won a total of 31 Emmy awards. Notably, he was also named to “Men on Top” as listed by Salon.com alongside other television personalities such as Conan O’Brien and Tom Hardy. Regarding his personal life, 59 years old Pelley leads his life as a married man and father of two children. He has been married to Jane Boone, a former reporter, since 1983. For now, Scotty enjoys his life as an accomplished journalist while his present net worth of $15 million caters to his and his family’s daily lives.